Dr M. H. Cass (ALP VIC) told Federal Parliament in March that an underwater snorkel on sale in Australia was lethal. He asked the Prime Minister, Mr Gorton, to investigate the sale of the snorkel. Mr Gorton agreed to make the inquiries. The snorkel was described by Dr Cass as a long, underwater breathing snorkel with Ping-Pong valves. He said that an 8 year old boy had drowned in three feet of water while using the snorkel. From: The Fisherman Winter, 1970 pg. 21. I am the unrepentant hunter of fish, and manufacture equipment to hunt fish. I think most groups of spearfishermen ensure that their catch is eaten, that ecological principles are observed, and their sport is correctly enjoyed. Of prime importance is that the young are maturely guided – there is no generation gap between underwater buddies… (Let’s use the Australian term – mates). Spearfishing clubs have to be commended for their work in education. Such indoctrination can only be done through clubs, and if over restrictive measures are taken they will not be followed, but broken in a regrettable manner. The sport of spearfishing has saved many lives. Men have learned to obtain food and in emergency have learned to cope with tempestuous conditions to save their personal lives and the lives of others – in many cases to cooperate with authorities to retrieve bodies. There are quite a number of awards for bravery given to the risk of life. The sport demands the utmost physical challenge and it has particular appeal to the adventurous young who are willing to be guided in balanced conservation by the leaders of their sport – but without the willing guidance of such sportsmen they would be rebellious! 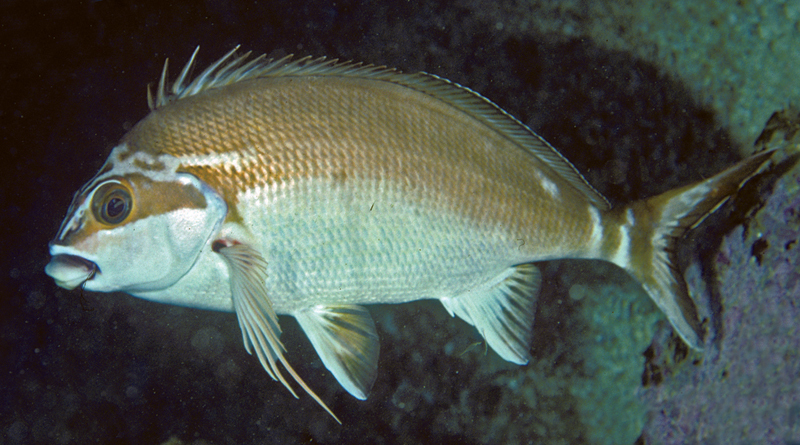 When one considers the millions of tons of fish taken commercially, and compare this factor to the catch of spearfishermen in the occasional shallows which allows their sport, it seems the conservationists are using the sport of spearfishing as a target for the promotion of that cause, or their personal advocacy – rather than to achieve effective measures of fish preservation. BAG LIMIT ON RED MORWONG At a previous meeting of the Amateur Fishermen’s Advisory Council, council was advised that representations made by the NSW Underwater Federation regarding the imposition of a bag limit on red morwong would be investigated. Council was advised that these investigations had been completed and action was being taken to introduce a bag limit of five red morwong per person per day. Despite warnings on hyperventilation given by spearfishing clubs and their state association, the NSW Underwater Federation, near drowning from the practice still occur in spearfishing contests. After making six deep dives during the Australian Spearfishing Championships at Ulladulla last Christmas, Ray Johnson, 18, of Kingsford, hyperventilated for about 45 seconds before making a seventh descent. He swam down about 70ft. As the fish were “Spooking” – shying out of range – he decided to explore a cave, a rash act at that depth.